Group of sculptures in the Vigeland Park. Column of bodies in the Vigeland Park. Sculpture group of girls in the Vigeland Park. 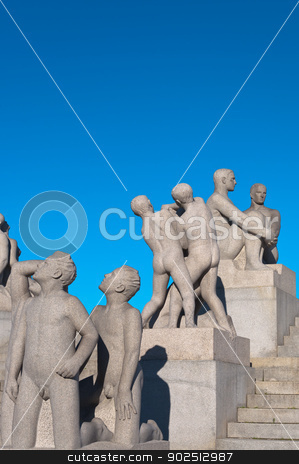 Photo of Group of sculptures in the Vigeland Park. Group of sculptures in the Vigeland Park. Oslo, Norway.